A hectic schedule, lack of sleep and less than adequate nutrition can all make you feel tired and lackluster come workout time. When you're too tired to work out, it's all to tempting to simply skip exercise in favor of the couch and your favorite sitcom. But exercise can actually improve your energy level and mood and it's an important daily component of a healthy lifestyle. Rather than skipping your workout, use strategies to ensure that physical activity remains a priority every day. When you feel too tired to hop on the treadmill for a half hour or to take an hour-long aerobics class after work, opt for just 15 minutes. You may find that when the 15 minutes are up, you actually have the energy to finish your workout strong. If you don't, you at least got a shortened version of your workout into your schedule and you can try a full workout the next day instead. When the time constraints of all of your daily responsibilities begin to compound near the end of the day, it's all too easy to place exercise on the back burner. That's why, if it works for your schedule, exercising in the morning has the advantage. Getting it done as soon as you wake up means it's out of the way and you don't have excuses as far as stress and fatigue from your day. As an added bonus, exercising first thing in the morning can help give you a burst of energy to start your day properly. Exercise needn't always take place in a formal setting. If you find that you're too tired to make it to the gym or exercise on your own, make a commitment to achieve more physical activity throughout the day through other means. 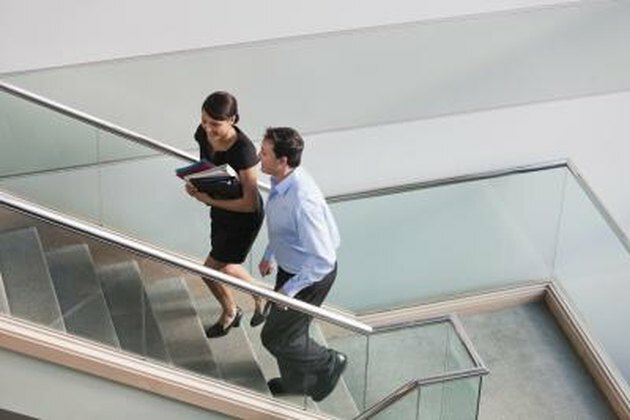 Maybe you don't climb on the stair climbing machine but take the stairs at the office. You may be too tired for the treadmill, but parking far away from the grocery store and walking briskly can help you reach your aerobic activity goals for the day. Give yourself a break by skipping a workout, but ensure that you don't allow yourself to become inactive all day. If you're too tired to exercise on a daily basis, you may want to examine your schedule more closely. The National Sleep Foundation recommends getting between seven and nine hours of sleep per night, so ensure that you're getting adequate rest. Exercising on a daily basis can even help you fall asleep faster at night. If you habitually can't sleep or feel fatigued even when you've slept well, schedule an appointment with your doctor. Certain sleep disorders and chronic fatigue syndrome can have a profound impact on your energy level throughout the day and can be treated via medical intervention.